Chirp - All about apps in YOUR classroom! All devices in the room have the Chirp app downloaded onto them. This is a device agnostic app, so a BYOD classroom is the perfect place to try it out. That's it. No texting, no sharing of numbers, no repercussions (as long it is used appropriately, of course). Just a simple way of sharing images to the class. This is all made possible because of frequency transmission. If you think about it, this is how most electronic wireless communication takes place. 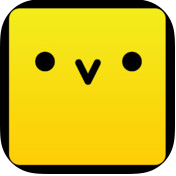 The Chirp app is just putting it to good use in a way that can help teachers communicate messages with students in an effective manner. For more information about this great use of technology, you can go here, email us or find us on twitter to discuss the applications of Chirp in your classroom.